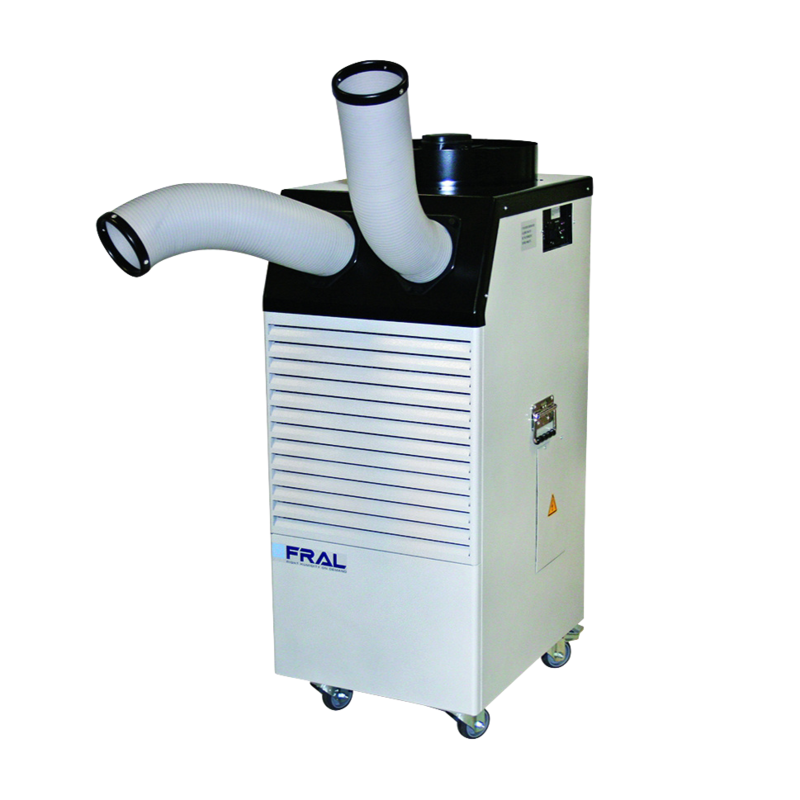 A range of high capacity monoblock portable air conditioning . Powerful and reliable tools with cooling capacity up to 40000 BTU / h. This single fan SPOT COOLER with large volume air movement from 1,020m3 /hr to 3000 m3 /hr is ideally suited to cool server rooms, production areas and workplaces. 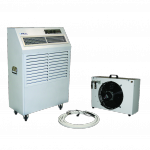 The SPOT COOLER unit has been designed for a fast rental installation and start up. In addition to this, the unit is entirely portable and has castors with brakes. This allows easy movement when cleaning around this lightweight unit.